Ever been to a children’s party where the delightful sound of children giggling and squealing can turn into a fiasco of shrieking and yelling – rapidly changing from being over excited to cranky and teary in a blink of the eye? A common culprit is sugar – being fed enormous amounts in a short space of time. 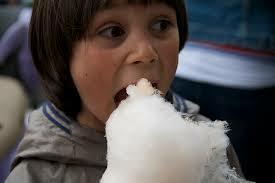 Eating sugar in various forms can promote “sugar highs”, and children may be more sugar sensitive than adults. A study comparing the sugar response in children and adults showed that the adrenaline levels in children remained ten times higher than normal for up to five hours after a test dose of sugar, and that children with Attention Deficit Hyperactivity Disorder (ADHD) may be even more sugar sensitive. Research also indicates that sugar sensitivity is more pronounced in younger children. Remember, their body weight is lower and their metabolism is faster, so they are getting a very high sugar rush (very excited) … then insulin, the hormone that helps to remove sugar from the blood into the tissues, comes in to get rid of all that excess, and they get the “sugar drop” (very cranky). Combine excess sugars with artificial colours, flavours and preservatives commonly found in “party food”, and you’re asking for trouble. Studies link food preservatives (such as Sodium Benzoate 211). additives and colours with hyperactivity in children. Some of the colours observed to have adverse effects were Sunset yellow (110), Quinoline yellow (104), Carmoisine (122), Allura red (129), Tartrazine (102) and Ponceau 4R (124), but be wary of ANYTHING artificial. Also, in hosting a party you are responsible for other children. Do you know if they have intolerances? Allergies? Some may be more sensitive to sugar than others, while a few may already have a hyperactivity disorder or other condition. Fairy bread, lollies, cakes, hotdogs, chips, chocolate, softdrink etc can be a recipe for disaster for a little one’s immune, digestive or nervous system. 1. Children love colour – and so much is found in nature. 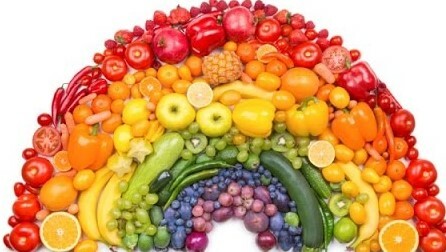 For example, instead of using red food dye, use fresh beetroot juice or strawberry juice, if you want blue then some blueberry juice is amazing, peas to make green, even a little turmeric can give you a wonderful yellow. You don’t need much, so flavour is not such as issue. 2. Instead of using icing sugar for cakes, use cream cheese or make cashew nut cheese (soak cashews overnight, then blend well) and colour with the above juices. 3. Substitute coconut flour or almond flour instead of wheat flour – easy to get from a health food shop and low allergy – tastes great too. 4. Use cacao powder with stevia to get that “chocolate” flavour without the sugar hit. 5. Use coconut cream instead of cream – it whips up just the same, add in a little vanilla, and it is delicious. 6. 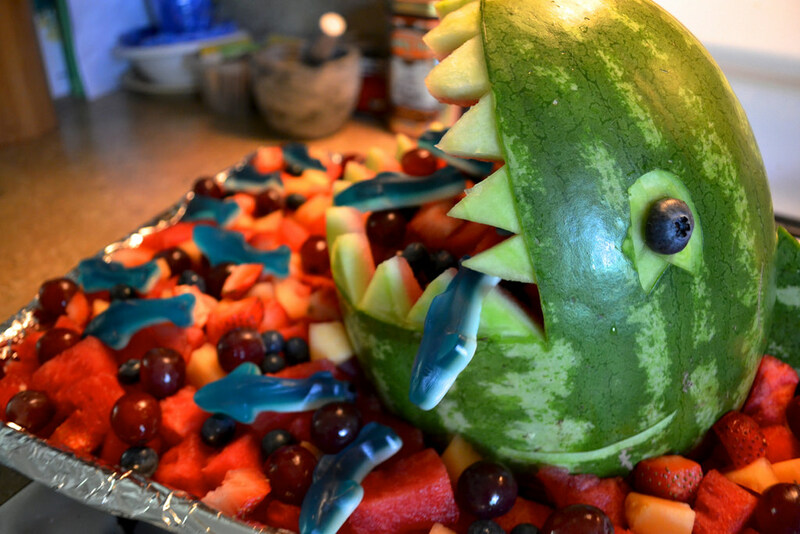 Carve out a watermelon into a shark or dinosaur and fill it with cut fruit – you won’t be able to keep up with the demand. 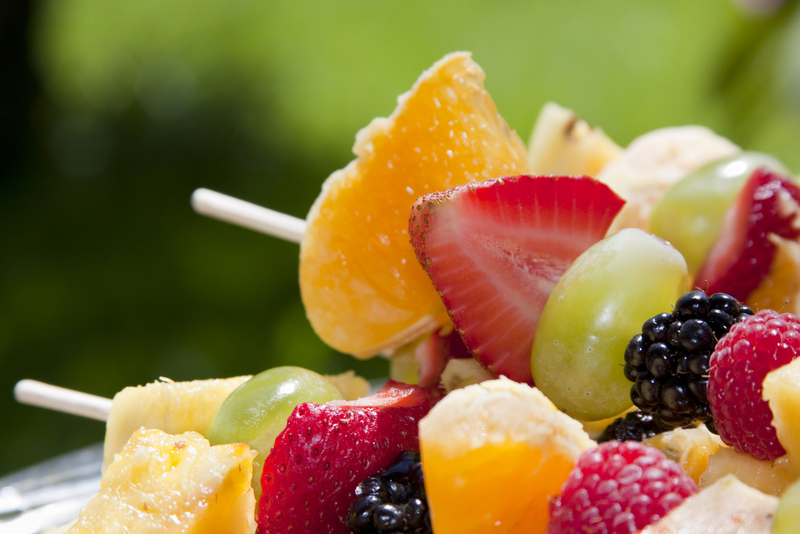 Make rocket shaped fruit kebabs, or fruit trees. 7. Homemade popcorn is easy, make your own chicken nuggets crumbed with Linseed-Almond-Sunflower (LSA) meal, homemade meat balls instead of party pies, and if you have a dehydrator you can make your own banana chips or other dried goodies. 8. All additives have “codes” – download an App on your phone such as “The Chemical Maze” or similar, so that you can look up codes whilst you are shopping and check if they are safe. There are many gluten-egg-nut free recipes out there – go exploring websites for some inspiration – there is a plethora of great party ideas and the list is endless. Serving healthy food options doesn’t have to make you a party pooper – I know it seems like a lot of work, but our children’s health is the biggest reward we can be given, and so worth the benefit. If you are not sure if your child has a problem with food, but is displaying issues with sleep, behaviour, digestive disturbances, mood disorders or other health issues, it may be worthwhile seeing a qualified health practitioner to assess their health and see if food intolerances are contributing.